This year’s MLB Post-Season has been both really exciting and heartbreaking. With the dog days of summer long over, a handful of teams remain looking to achieve their dreams of forever etching their names on the World Series trophy. Be it for the first time or the twenty-eighth. For some, the dream is already over. But whether your team is in or out, as fans we should enjoy the moment. To watch and take in all the drama that the playoffs bring. Heroes, goats, beautiful plays and fatal mistakes are what characterize October in the world of baseball. Some guys will step up, others will tumble as their faithful jump for joy in euphoria or break down into tears in defeat. While we don’t know for certain who will emerge the World Series champion, one thing is for certain: These games won’t disappoint. Let’s recap what’s happened so far. Once again the one and done format has delivered, keeping both diehards and casual observers on the edge of their seats. No matchup showed this more than the Colorado Rockies versus the Chicago Cubs. But before we get there, we can’t forget the events that led up to these games. At the end of the season, we had us a pair of tiebreakers to determine both the NL Central and NL West division winner. The Milwaukee Brewers came over to Wrigley to face the Cubs riding high on an eight-game winning streak and boy, what a game it was. Christian Yelich helped the Brew Crew take an early 1-0 lead before Anthony Rizzo bombed one to right to tie it in the fifth. Then a clutch eighth thanks to Lorenzo Cain and Ryan Braun sealed the deal, crowning the Brewers as kings of the NL Central with a 3-1 victory. Out West the Rockies and Dodgers went at it with the loser facing a flight to Chicago’s North Side, the very next day. Cody Bellinger and Max Muncy powered much of LA’s offense with two-run blasts putting the Dodgers up 5-0 after six frames. The Rockies mounted a mini-comeback in the ninth, but they fell short, 5-2, allowing Los Angeles to clinch its sixth straight division title. The NL Wildcard was one to remember since the Cubs and Rockies were licking their wounds facing outright elimination. Fans were treated to a 13-inning pitchers duel filled with weird plays (the newly installed catcher Drew Butera was called for interference) and a wild seventh that placed the Cubs tantalizingly close to knotting it up after the Rockies scored the lone run back in the first. Chicago finally tied in the eighth with a clutch double from Javier Baez, firing up the club and everyone in the house. The hero of the night though ended up being a rather light-hitting backstop by the name of Tony Wolters. He finished the season hitting .170 (In 182 At-Bats) and wouldn’t you know it, T-Dub hit the go-ahead RBI single, scoring Trevor Story and bringing the Cubs season to a close. 2-1, Rockies. Over in the American League, things played it very differently between the Oakland Athletics and the Bronx Bombers. Court was definitely in session as Aaron Judge airmailed a two-run bomb in the first, putting New York up early. The Yankees would light up the scoreboard with four more in the sixth thanks to a double from Aaron Hicks and a triple from Luke Voit to deny the A’s and move on to the divisional round by a final score of 7-2. Shame really, the team I was rooting for to win it all was the Athletics (Because Moneyball) so my dark horse was axed pretty quickly. I guess it’s time to go back to being a Marlins fan…or is it? For the ALDS we had the Cleveland Indians facing off against the Houston Astros while the Yanks and Red Sox wrote in the latest chapter of their long, storied rivalry. In the National League, the Rockies squared off against Milwaukee while the Dodgers took on the Atlanta Braves. The Astros and Brewers cruised to their respective league championships, although, the Rockies put up a bit more of a fight with that first game going into extras. Colorado rallied in the ninth to knot it up at 2, thanks to heroics from both Charlie Blackmon and Nolan Arenado but the Brewers shrugged and walked off with the win in the tenth on an RBI single from Mike Moustakas, guess who he scored in? The Dodgers also had an easy time of it, dispatching the Braves with relative ease. Roaring ahead with two straight shutouts (6-0, 3-0), the Braves fought back in game 3, exploding for five runs in the second, holding on for the 6-5 win. It was all Dodgers after that, closing out the Braves 6-2 at SunTrust Park. They face Milwaukee for national league pennant. Out of all the matchups, if there was a divisional series that could go all five games it would be the Yankees-Red Sox. Arguably the best rivalry in sports, these two clubs rarely disappoint. Game 1 was played last Friday as part of a full day’s worth of baseball (4 playoff games!) with Boston scoring early and often. The Baby Bombers managed to chip away at the early 5-run deficit, culminating with Judge launching one out into the stands in the ninth, but the Red Sox edged them out 5-4. Craig Kimbrel struck out the next three hitters, slamming the door. New York was undeterred, flexing their muscle the following game with three ding dongs, winning 6-2 at Fenway to tie the series, the venue changing to Yankee Stadium. However, the momentum swiftly shifted back in Boston’s favor with an endless barrage of runs, putting them up by as much as 10-1 after four innings. Oh, it got worse, by the end of the night the Yankees were absolutely demolished 16-1. The real story of the game was Brock Holt‘s cycle, no player has ever achieved this feat in the postseason until now. On his last at-bat in the ninth Holt slammed a home run completing the historic cycle on a night the Yankees would just love to forget. Five teams remain, for now. The A’s are out and the Marlins missed by playoffs by only 27 games, so I need a new postseason team. Which reminds me, out of all the possible combinations for the championship, there’s one series I want to see, and one I hope to avoid. I definitely would hate a World Series between the Boston Red Sox and the Milwaukee Brewers. I feel it wouldn’t bring as much excitement as the other potential pairings. It’s also worth noting any World Series with a Boston team in it, I’d automatically cringe at. 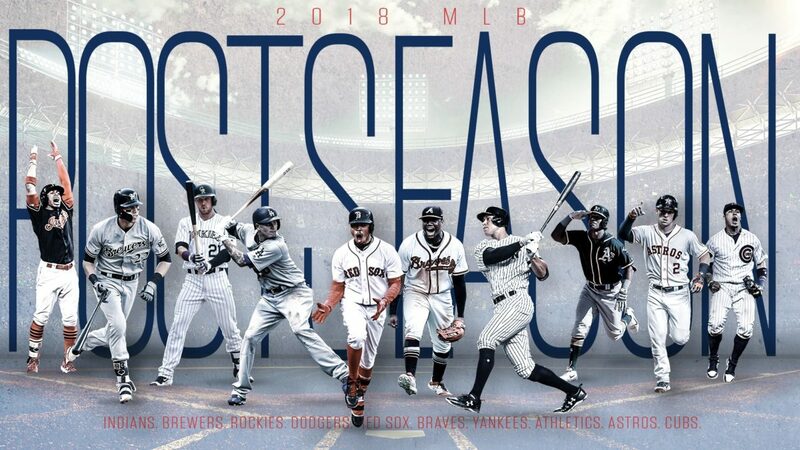 After thinking about it for a bit, the championship I want to see is the Houston Astros against the Milwaukee Brewers. Sorry Dodgers fans, a rematch wouldn’t be boring for you guys but for everyone else… Time for a new team to earn a shot. These former division rivals could ignite a rivalry for years to come. But there’s still a chance to see any of these scenarios, here are the odds for upcoming games so you can actually compare them to the other front-running teams. The way Christian Yelich is tearing it up, can you imagine if they make it all the way? They haven’t been that far since 1982, and just thinking about Yelich winning World Series MVP brings a tear to my eye, former Marlin and all. And why shouldn’t he? Barring a Houdini performance when it matters most, the guy barely missed out on the Triple Crown and is cementing himself as the National League’s MVP. It could happen! Regardless of who ends up going to the ‘ship, enjoy it while it lasts folks. The baseball season is officially in its twilight and “Winter Is Coming”. And don’t you worry, I’ll be putting up one last cheap seats for the lovable Marlins soon enough. FIU Panthers vs JSU Gamecocks – March 2, 2018.